There are many reasons to hook a trailer to your car or truck. Whether it is for work, recreation or out of necessity, safe trailering is important. 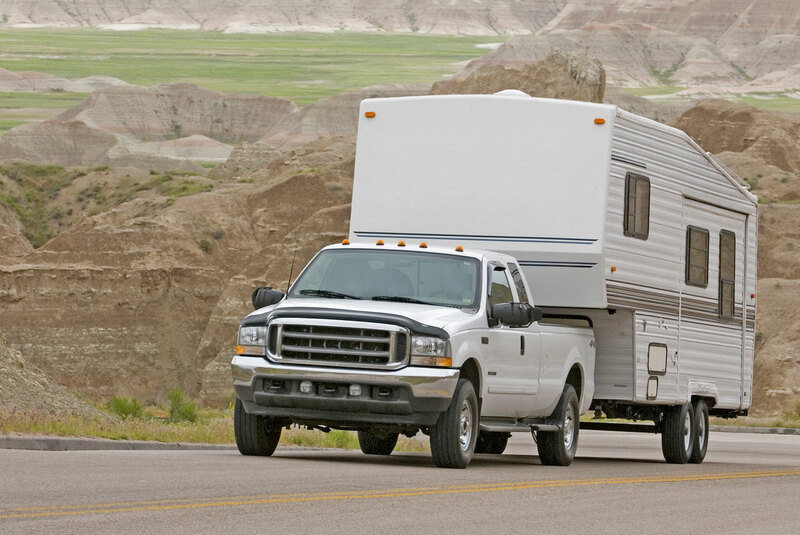 Here are 11 trailer towing tips to keep you safe on the road. If you are loading a trailer with a vehicle or materials, proper balance is critical. You don’t want the heaviest items all the way at the front or all the way at the back of the trailer. Most trailers are designed to support the weight of the item(s) over the center of the trailer. Loading a trailer too heavy at the front results in too much tongue weight, unloading the front tires, making the tow vehicle hard to control. Overloading the rear of the trailer has the opposite effect, unloading the rear tires, which again makes the tow vehicle hard to control. When hauling vehicles, the front of the vehicle is usually the heaviest, so cars should be loaded front first on the trailer. Sometimes you simply can’t avoid loading a car backwards, if you do this, make sure that the rear of the car is as far forward as possible, putting the heavy load over the trailer tires. Unless you absolutely have no choice, don’t load a vehicle on a trailer backwards. You always want the engine to the front. Never haul a vehicle or other loads without proper tie-downs. 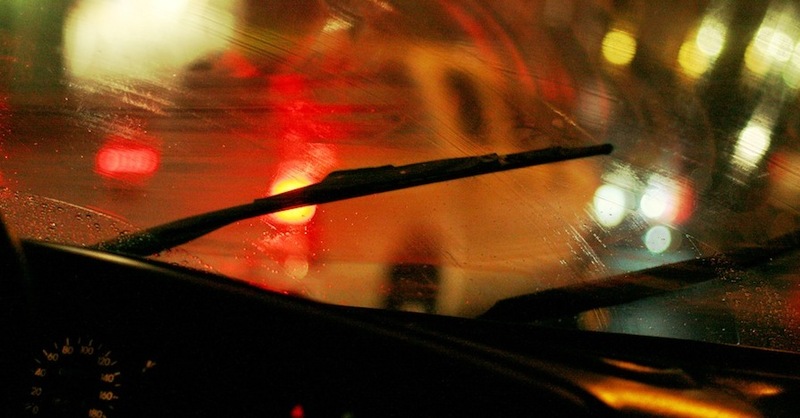 There are many ways to tie down a vehicle, but the key is to make sure it is secure. Simply putting the transmission in park or setting the e-brake IS NOT SECURE. Use proper grade ratcheting tie-down straps, a two-inch wide 10,000 pound rated ratchet strap is suitable for hauling vehicles. You need to have a minimum of two, one at the front and one at the rear, but the best method is four, one at each corner. Use axle straps to connect the tie downs to the suspension or frame. Secure the vehicle pulling the strap out from the center to the outer corner. With four straps, you are less likely to have the vehicle walk side to side on long trips. If you are hauling with an open flat bed trailer, you can secure the vehicle by looping the strap through the wheels. Not only can the vehicle not roll, but it also provides a simple locking point. 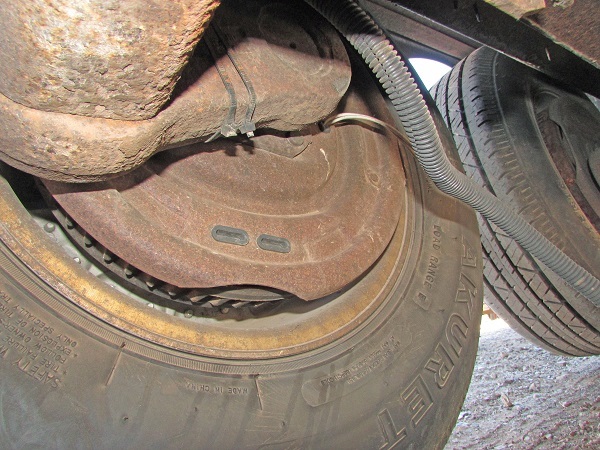 Otherwise, an axle strap looped around the rear axle and front crossmember or lower control arm are good connecting points. 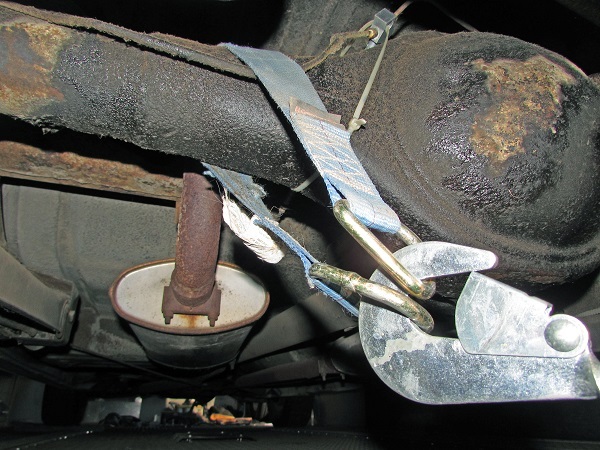 Never use a flimsy mount such as a sheet metal brace to secure a vehicle for towing, this will damage the vehicle and could result in a catastrophe. Here is an axle strap being used on an actual axle. Those little slots in the frame? They are not for towing tiedowns, those are the factory reference points for the frame jig. You can easily tear or elongate the holes. All trailers have safety chains. This is the last line of defense should the trailer come unattached from the tow vehicle. ALWAYS connect your safety chains to either the loops on the receiver hitch or to the chassis of the tow vehicle. If the chains are too long and will drag the ground, give it a few twists. This will shorten the chain, holding it off the ground and keep you safe. Trailers come off hitches, use the chains. Don’t forget to hook up the safety chains! If your trailer’s chains are stretched or thin, replace them. One of the main reasons trailers come off the hitch is due to incorrectly sized hitches and balls. There are many different hitch ball sizes, but the main three are 1-7/8”, 2”, and 2-1/8”. Each must match the hitch on the trailer. You can fit a 1-7/8” ball on a 2” hitch, but the hitch will be damaged during the trip and there is a very real risk of the hitch coming loose. The size of the hitch and ball is stamped into the top of the ball and hitch itself. It is a good idea to secure the hitch to the ball with a locking pin. This keeps the hitch lever opening, allowing the trailer to come unattached. Whether you are hauling at night or during the day, you must have working lights on your trailer or camper. Most trucks and SUVs come with a provision for connecting trailer lights to your vehicle’s lighting system, but there are several versions of trailer plugs, and most passenger cars do not have these provisions at all. NAPA Auto Parts Stores have all the connections you could need from adapters to complete wiring harnesses for most vehicles. Don’t go out on the road with a trailer unless it has operational brake and turn lights. Not only is unsafe to drive without trailer lights, it is illegal. 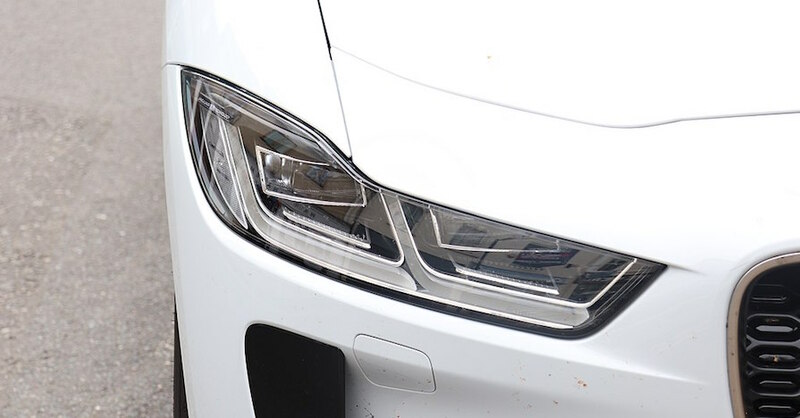 If you are only towing as a one-time thing, you can opt for a set of magnetic trailer lights that plug into your existing vehicle and are easily removed. You can find those at NAPA Auto Parts Stores as well. There are four typical hitch types- Fixed, Receiver, Pintle hook, and 5th-wheel. This article focuses on the most common types- fixed and receiver types as the other are more specialized. Both of these hitches are similar, as they bolt to the chassis of the tow vehicle and support a hitch ball, but a fixed hitch has the ball directly bolted to the hitch itself. Changing the ball size requires unbolting the ball. A receiver hitch uses a separate ball mount that slides into the receiver and is locked with a pin. These are more versatile, as you can use them for trailers as well as bike racks, luggage platforms, and a few other accessories. The receiver hitch means you can keep the right size ball hitch for multiple trailers, or you can use a 2- or 3-ball hitch that has two or three ball hitches mounted to it, this allows you to simply rotate the hitch to get the right ball for the trailer you are hitching to. 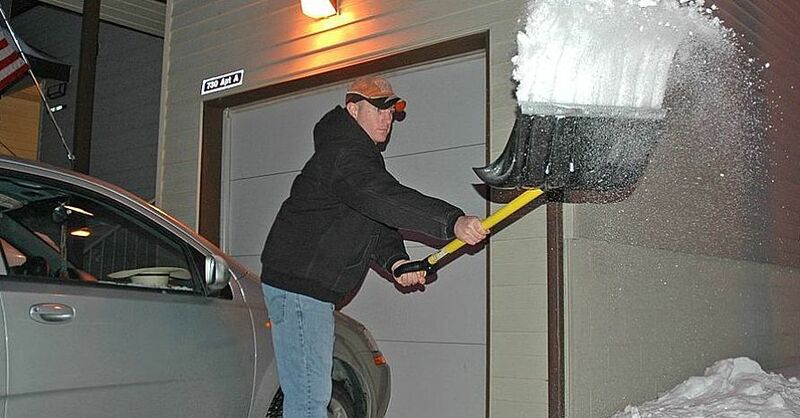 All hitches are rated for specific weight classes. From Class I to IV. The tongue weight is a combination of the weight of the trailer and the load (which depends on how the load is positioned on the trailer), and the Max Gross Tow Weight(or MGTW, which is the total load weight, including the trailer). A typical factory-installed tow hitch on truck or SUV is Class III, most cars are usually limited to Class II. You need to check the specs for you vehicle and installed hitch( there is a tag on all hitches noting its class). Before you hook up a trailer, make you sure have the right tool for the job. Hauling a jet ski or small camper with a Honda Accord is certainly feasible, but that car will not handle a 20-foot flat bed, much less with anything actually on the trailer. All vehicles come with a GVWR, or Gross Vehicle Weight Rating. This is the limit of the total weight that vehicle is capable of safely hauling, including passengers and towing. You can search your vehicle on the internet or check with the owner’s manual. Most trucks and SUVs, as well as some cars have optional equipment designed to increase their towing capacity. 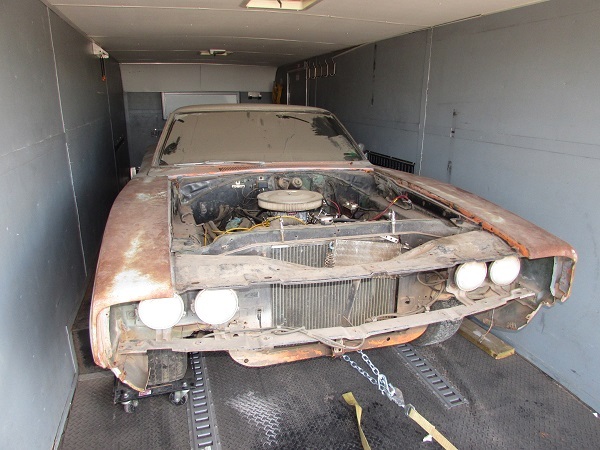 Make sure you know your vehicle’s limitations before attempting to trailer anything. 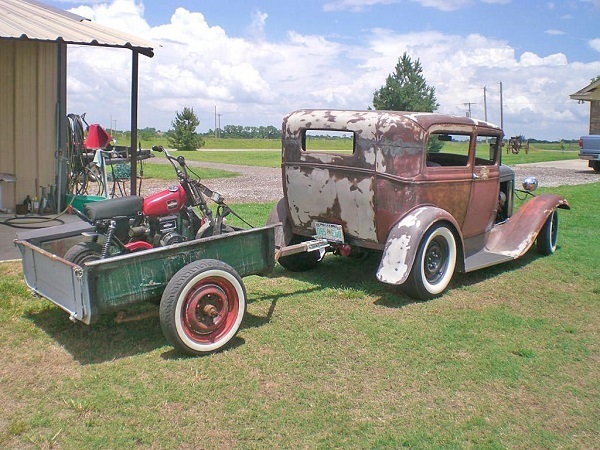 This Model A looks cool hauling this motorcycle and it is capable of doing so. You would not be able to haul a car with this hot rod though. Match your tow vehicle to the load. Small loads, just as jet skis, small boats, and utility trailers shouldn’t overload your vehicle’s braking system, but hook up a car hauler loaded with a 3,500-pound vehicle, and just about any braking system will feel the pain. 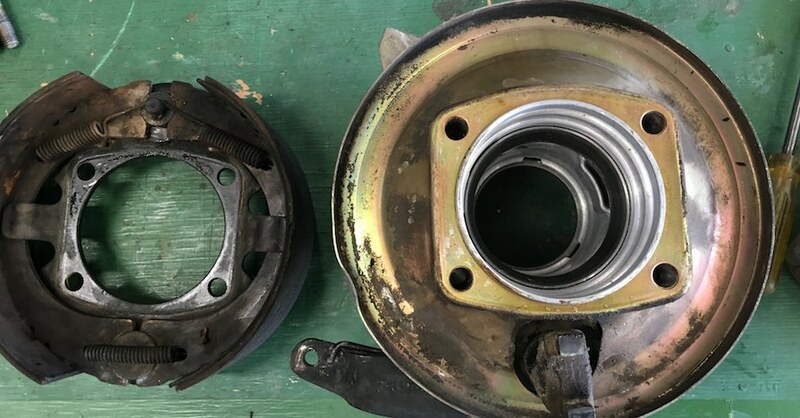 There are multiple types of trailer brakes, make sure that they are installed and working on your trailer and that the vehicle is capable of handling the control of the brakes. Trailer brakes should spin with just a slight amount of drag. For more on this subject, read our article on trailer brakes here. 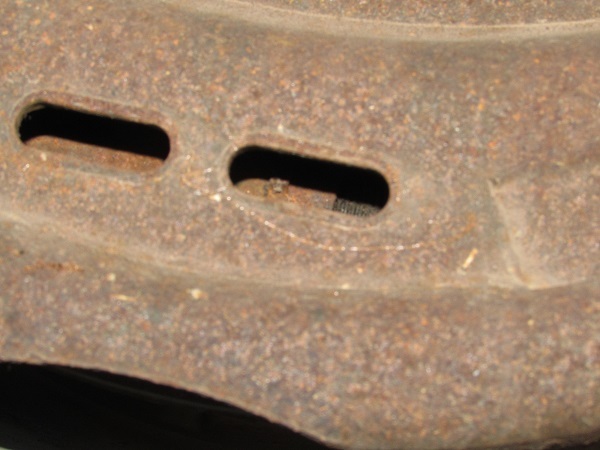 Make sure your trailer has properly functioning trailer brakes, which are drum style. Behind the two plugs are the adjusters. Trailer brakes are usually not self-adjusting, you have to occasionally get under the trailer and tighten them. All trailers have tires, but not all tires are created equally. Trailer tires are designed to support heavy loads over the road. They are usually 10-ply and come in specific sizes to fit various trailers. One thing that most people ignore is the fact that trailer tires are not designed for speed above 65 MPH. When they are driven on long trips over 65 MPH, they heat up and can come apart. 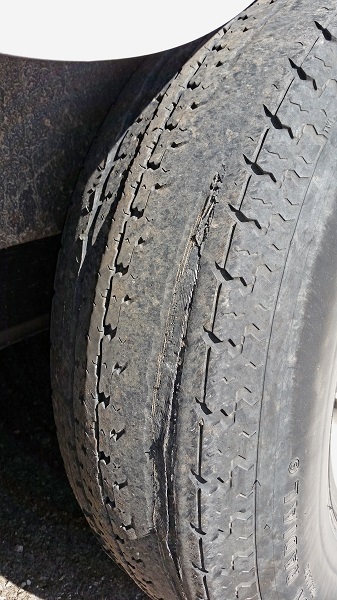 Light truck tires are often put on trailers, as they are plentiful and cheap when purchased used, but they are not designed to handle the loads they are often subjected to. Check your tires for wear regularly, before, during, and after the trip. Look for signs of uneven wear, low-pressure, and separating belts. Always keep a spare tire and rim handy, along with a jack and tire wrench. When a trailer tire blows, things get interesting really fast. Trailers are notorious for blowing tires. This 10-ply tire was near death after a 5,000 mile cross-country haul. Trailers have a bad habit of swaying, especially in the wind or when the load is uneven. The larger the trailer, the more likely it is to sway, and the more dangerous it becomes. Large campers and car haulers benefit from distribution hitches. These add-on devices turn a single-point ball hitch into a 3-point hitch, spreading the weight across the width of the chassis instead of the single ball hitch point. The added leverage of the weight distribution hitch not only decreases the rear suspension drop of the tow vehicle, but also reduces the potential for whipping, which occurs when the trailer sways side to side. 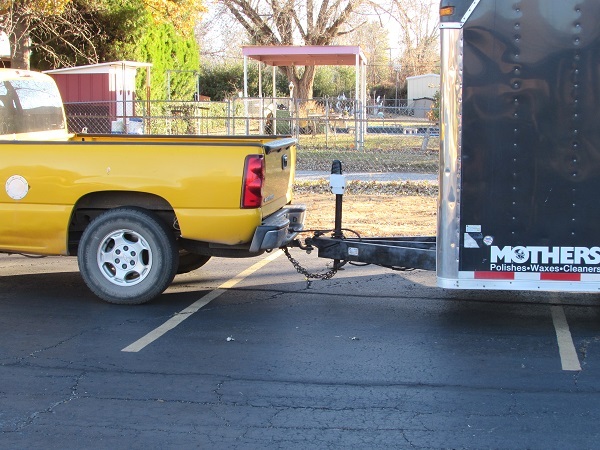 These hitches are suggested when the trailer load reaches 50% of the tow vehicle’s GVWR, and by law in certain states with certain trailers and weights. No matter the size of the trailer you are hauling, you need to slow down. Towing taxes all of your vehicle’s systems- brakes, suspension, and drivetrain, even with small trailers. Until you are confident in your tow-driving ability, keep it under the speed limit. Stopping takes 2-3 times the distance and time comparatively. Changing lanes takes longer, and you need more room to maneuver. 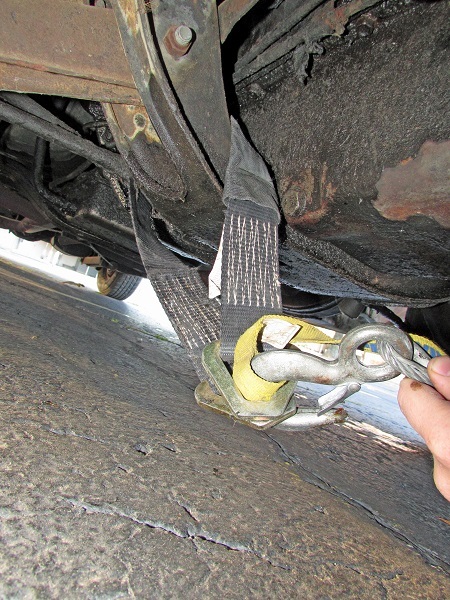 The phrase “safety first” is critical for towing. Don’t get caught driving too fast while hauling a load. This truly a safety issue for you and the other motorists around you. Besides that, trailer tires are not designed for speed in excess of 65 miles per hour. All of the parts and components listed in this article are available at any NAPA Auto Parts Store, making it your one-stop shop for towing accessories. If you follow these guidelines, and drive with patience, your trailering experience will be a good one. 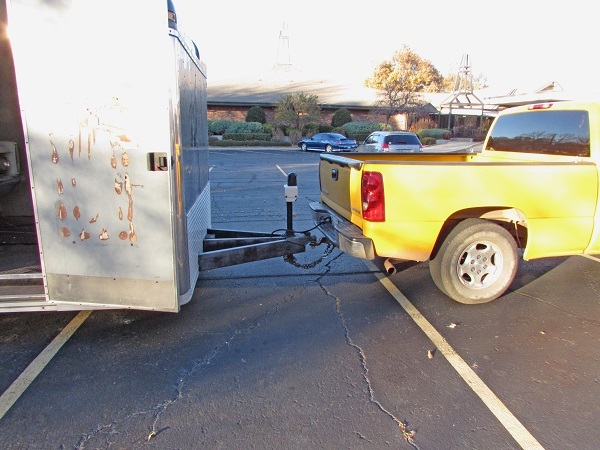 Remember- your vehicle is slower and less maneuverable when trailering, you have to remember that there is a trailer behind you. Turn slow, watch for other motorists and above all be patient and safe. I have always been bad at figuring out how to tow correctly. I had no idea that you need to slow down, no matter what size of trailer. I always thought that you could go faster if it was a smaller trailer.